View More In Air Conditioning Tools & Equipment. 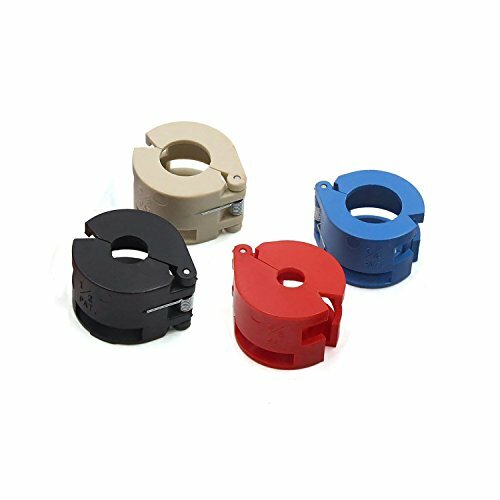 Suitable Tube Size: 1/2", 3/8", 5/8", 3/4"
Spring-loaded design and durable plastic body.Release spring lock connector on air conditioning line,to fit quick-connect fuel line fasteners. Used for separating spring lock air conditioning refrigerant pressure lines on many vehicles and pick-ups with spring lock connection. They are spring-loaded in the closed position to deflect any spray that occurs when the line is disconnected. Works on various vehicles and separate fuel lines without damaging the connectors.Connection on the A/C system.For 3/8", 1/2", 5/8" and 3/4" couplers. If you have any questions about this product by LDEXIN, contact us by completing and submitting the form below. If you are looking for a specif part number, please include it with your message.